Bakery and Deli | DM Packing offers FDA approved food packaging, bulk wholesale bakery and deli bags and packaging including bakery cartons, deli boxes, deli food service bags for sandwiches, and biodegradable food storage packaging and more. recycled plastic in the world and the material of choice for supermarkets and food processors. These containers are ideal for the growing selection of nuts, dried fruits and candies offered by supermarkets and deli shops. Containers 6" by from 1.25" to 3.75"
DM Packaging now offers iBox take out cartons; a quality, multi-purpose packaging that is microwaveable, grease resistant and vented. Available in black, white and our eco-friendly natural carton. 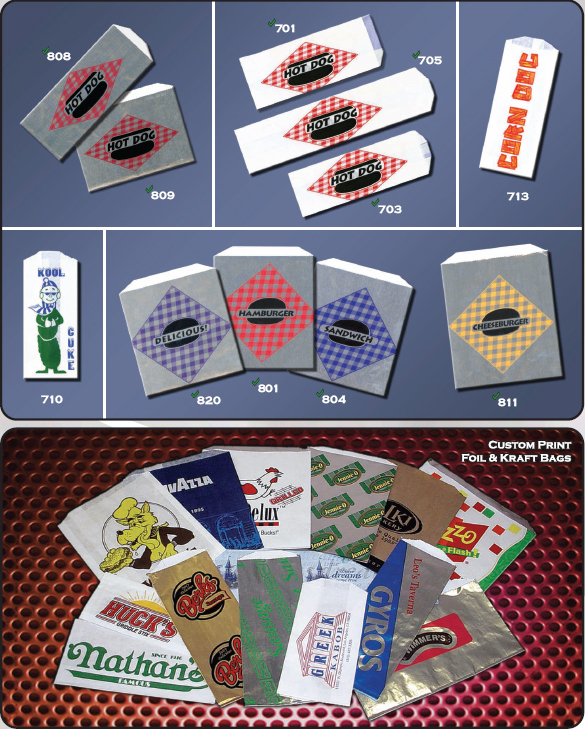 Custom printing is available with a minimum run per size of 30,000. Our natural iBox take out cartons are made from 100% recycled fiber, 90% post-consumer and 10% pre-consumer material. 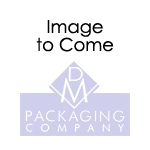 DM Packaging's new folding take out cartons are great for packaged meals! These take out cartons are available in Kraft Delicious, Delicious and Hot To Go options. Features include an automatic bottom with tuck top carry out carton and store flat to save storage space. 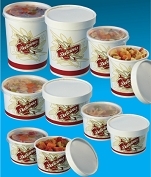 Jumbo cartons offer a soup, salad or beverage corner. Custom printing is available with a minimum run per size of 30,000. 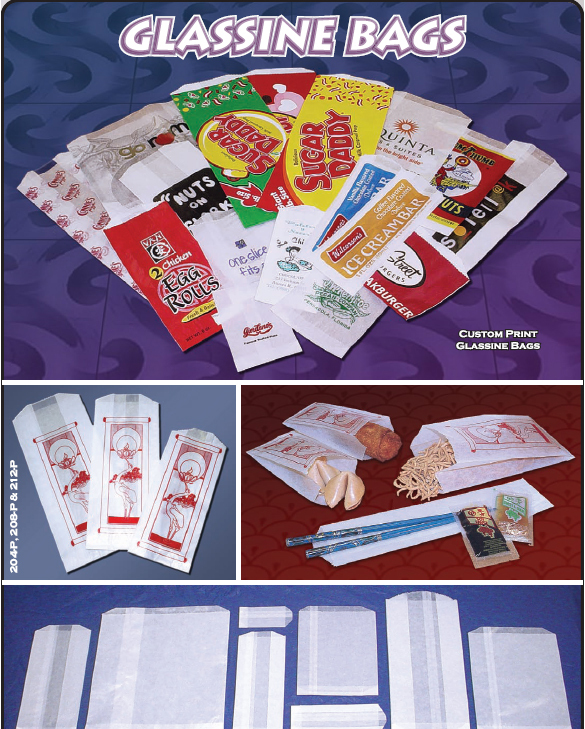 DM Packaging offers multiple options when it comes to hot food bags. For instance, our handled flat bottom hot food bag is built for strength and designed to retain heat and maintain freshness. They are also grease proof, freezer safe and microwavable! DM Packaging Rotisserie Chicken and Wing Bags are resealable, Grab N Go Bags for Rotisserie Chicken and 1 lb., 2 lb. and 3 lb. wings bags. They are heat lamp, warming unit and microwave safe. Anti-fog film allows product to be merchandised with clear view of contents inside. Further, both the rotisserie and wings takeout bags have a recycle classification of PP5 - "Microwaveable Containers & Bags". Great for packing sandwiches, DM Packaging flip top sandwich bags provide a locking feature that ensures the contents don't come out. The saddle pack design allows for double-sided portioning. 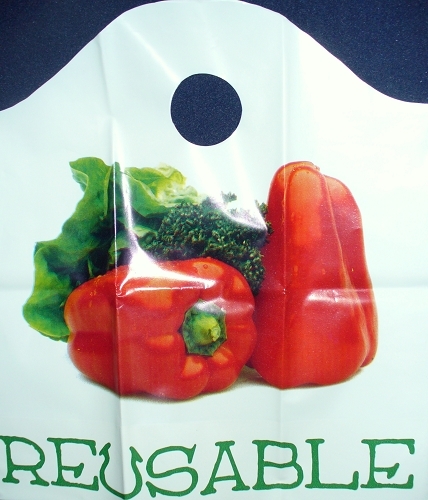 Microwave safe, these sandwich bags are made from recycleable HDPE 2 material. Delicious and Hot to Go Paper Food Containers are now available from DM Packaging in a variety of sizes and are available with either paper or plastic lids. These microwavable food containers are great for any service or storage need from hot to cold to frozen, for soups, sauces, ice cream, chicken and more. Custom printing is available with a minimum run per size of 50,000. 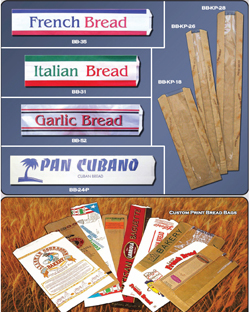 DM Packaging offers paper food service trays. These food service trays make perfect quick serve containers for convenience stores, hospitality and catering, delis, concession stands, food carts and more. 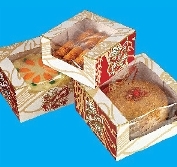 DM Packaging now offers self-folding bakery cartons designed to fit sheet cakes, round cakes, pies and donuts. SBS or Solid Bleached Sulfate Paperboard, signifies that our bakery cartons are a renewable resource. The paperboard is biodegradable, hygienic and produced from at least 80% virgin-bleached wood pulp. DM Packaging now offers single and double wall corrugated cake pads, circles, and trays made to fit all traditional cakes. Made in three finishes. Over 30 options available. Minimum order is 200 cases of mixed product. 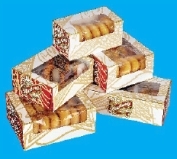 Circle Size Range: 7" - 9"
Circle Size Range: 8" - 14"
Circle Pad Size Range: 6.25"
DM Packaging offers deli boxes. These corrugated deli boxes are great for catering and can be filled with a variety of food configurations. 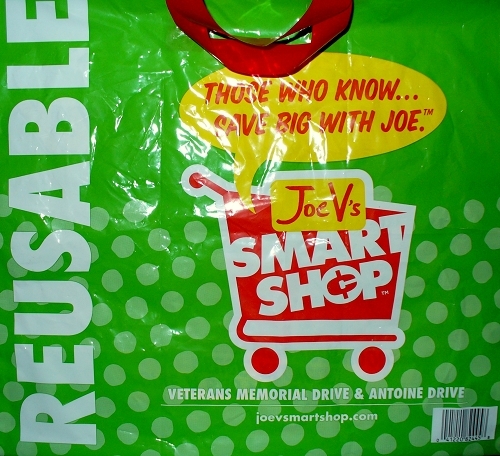 Looking for an eco-friendly alternative to paper and plastic bags? Looking for a safe, lead free alternative to non-woven bags? 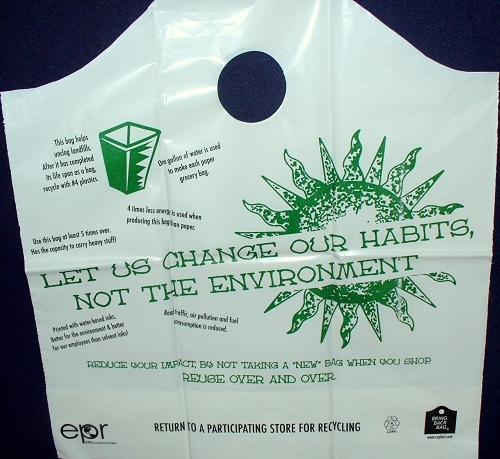 DM Packaging has your solution: recyclable, reusable and environmentally friendly soft loop handle bags. These durable polyethylene bags hold 20 to 25 lbs. and are reusable for approximately 100 uses. 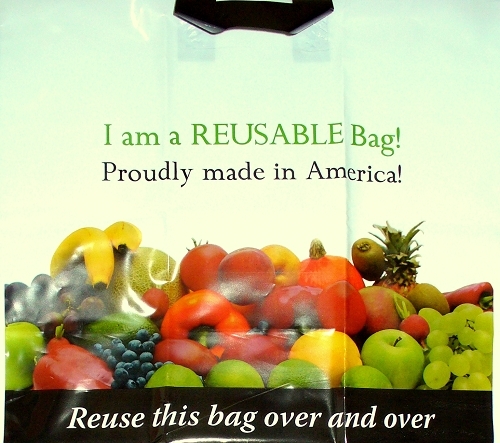 These reusable bags are made in the United States and printed with water based ink. There is no fear of lead-based ink or pigment in these bags. Why not order the reusable bag and the rack solution at the same time? DM Packaging can help. We have a full line of patented dispensing options. 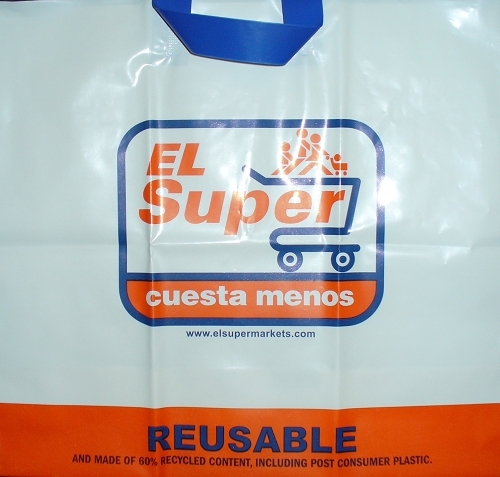 DM Packaging, your complete plastic and paper bag source, offers all styles of specialty bags idea for supermarkets and grocery stores. 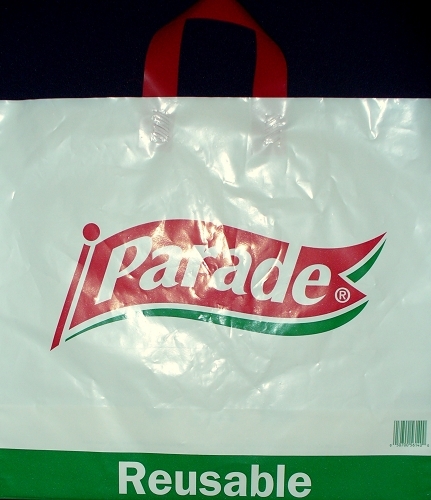 Our bread/bakery polypropylene window bags give the product an extremely fresh appearance. 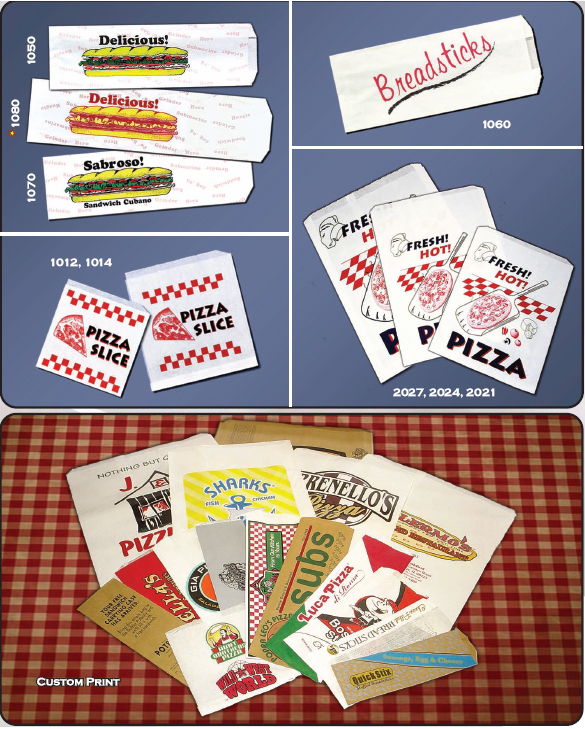 Our food service bags come in a variety of sizes. Contact us for more information. 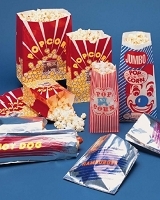 Aluminum Foil Hot Dog and Sandwich Bags are a popular item used by concession operations when heat retention is desirable. 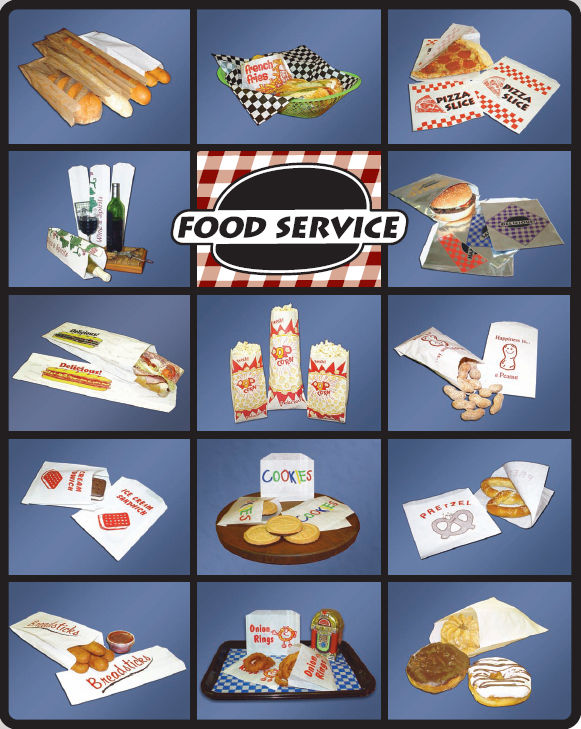 These food service foil bags range from Hamburger Foil bags to Hot Dog Foil or Fish Foil bags. "Plain" bags are also available. Our Custom Submarine Bags are made from bleached M.G. Stock design (or plain): red, yellow, green and black. 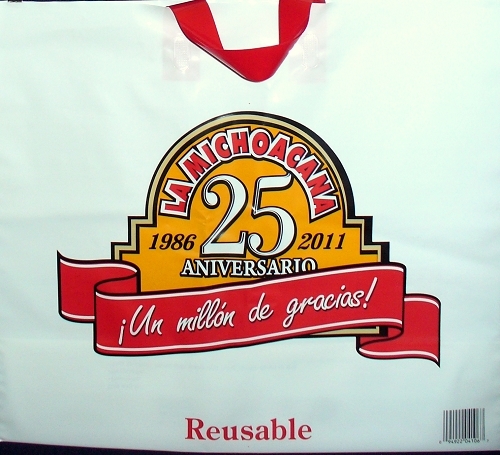 Our Submarine Bags are made from bleached M.G. Stock design (or plain): red, yellow, green and black. DM Packaging now stocks Glassine bags. 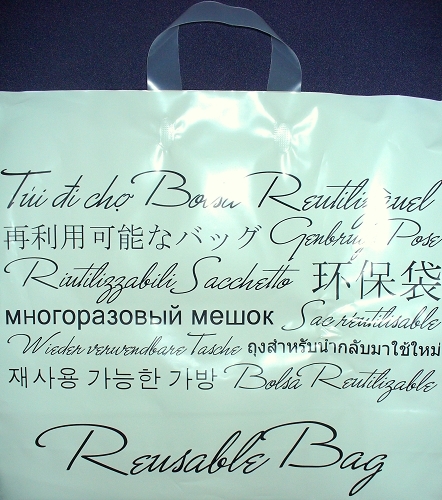 These bags are made from bleached glassine for packaging food and non-food items where clarity and/or grease resistance is required. Noodle or Egg Roll Glassine Bags sizes from 1/2 Pound to 2 Pounds. DM Packaging now stocks foil and dry wax wraps and liners. 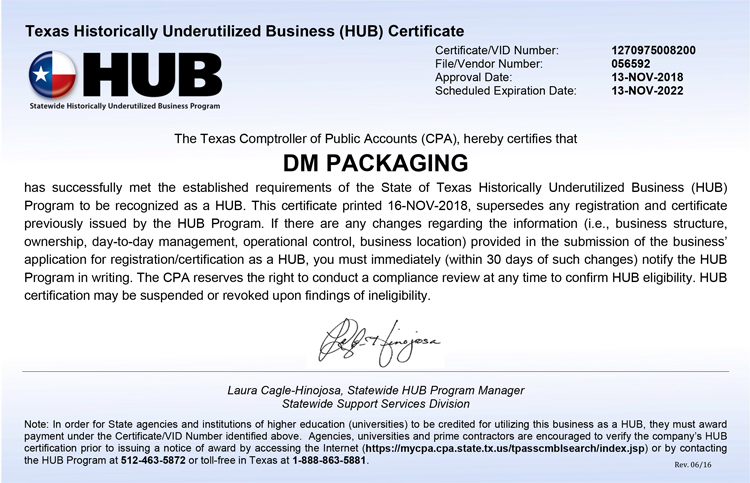 *Please contact DM Packaging for minimums on the above run to order items. DM Packaging Poly Bags Pan Liners are nylon clear poly bag configurations (open-ended and no integral closure system required) that are placed in oven baking and roasting pans, steam table serving pans and cooking pots. The liner bags are designed to withstand temperatures of 400 degrees Fahrenheit. Using theses popular pan liners is the right way to save on labor/clean up of cooking pans in busy kitchens. They also preserve the life of pans by acting as a physical barrier to sticky and baked-on residue, eliminating the need for repetitive scrubbing that reduces the life of the pan. DM Packaging now stocks bun pan and bun rack covers. Our high-density polyethylene bun pan rack cover comes 200 bags per roll or case. We also offer a white dispenser box for this product. 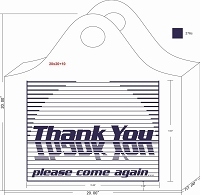 Size / Dimensions: 21" x 6" x 35"
The plastic T-Sack is among the most popular in all the bag business. Our customers have found our programs to be extremely competitive. We have an impressive network of manufacturers, both global and domestic, that allows us to meet you exact needs! 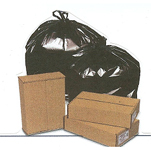 Minimum Order: for Plastic T-Sacks is two (2) pallets (72 cases per pallet). DM Packaging offers every type of packaging needed for a supermarket's produce department including produce rolls and produce bags. Our most popular offering is a produce roll that easily opens faster than a traditional roll bag. orange bags - in paper or plastic. 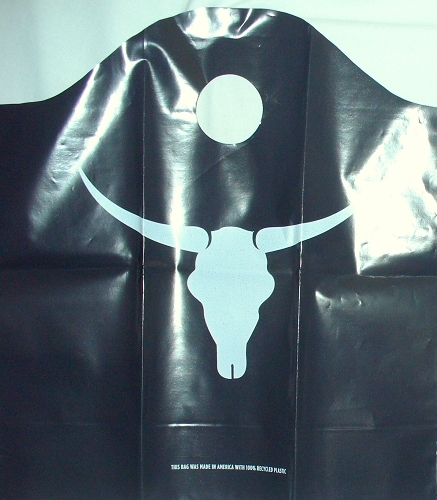 DM Packaging now stocks Saddle Sack Deli Poly Bags. DM Packaging now stocks High Clarity Zipper Bags in 2, 4, 6 and 8 mil. Exceptional clarity for excellent product visibility. Tight seal for vapor and moisture resistance. Meets FDA and USDA specifications for food contact. DM Packaging now stocks Slider Zipper Bags. Our lider zipper bags come in in high clarity polypropylene in various sizes and milsExceptional clarity for excellent product visibility. Tight seal for vapor and moisture resistance. Meets FDA and USDA specifications for food contact. DM Packaging now stocks Pouch Zipper Bags. DM Packaging now stocks Gusset Zipper Bags. Zipper bags with bottom gusset are 2 mil in various sizes. Bottom gusset provide extra volume and allows the product to stand up. Usable dimensions are slightly small than bag side. 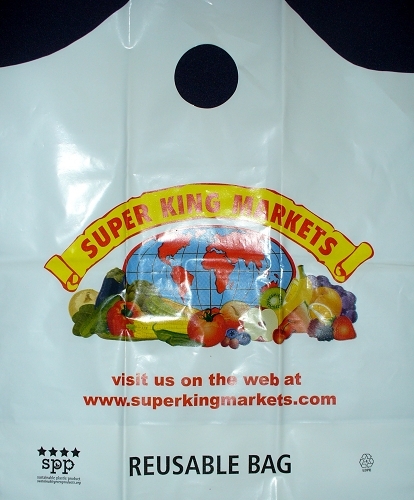 DM Packaging now stocks low density polyethylene gusseted bags. 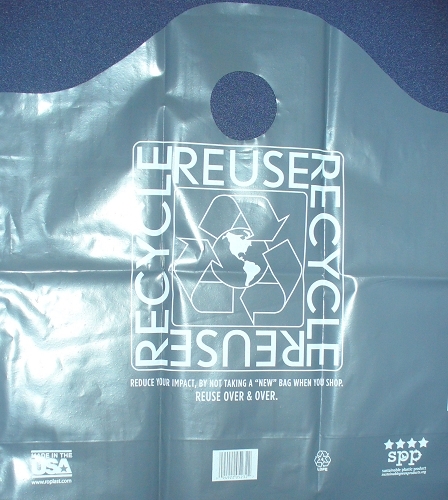 These are basic plastic bags designed to handle a wide variety of packaging needs. These bags can hold everything from small parts to all types of food items. Expandable side gussets for more volume and bottom-sealed for extra strength. Use for bread, bagels and other bakery items. 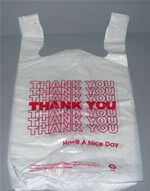 DM Packaging now stocks Polypropylene Co-Extruded Bags with Side Gusset. DM Packaging now stocks Polypropylene Side Gusset Bags. 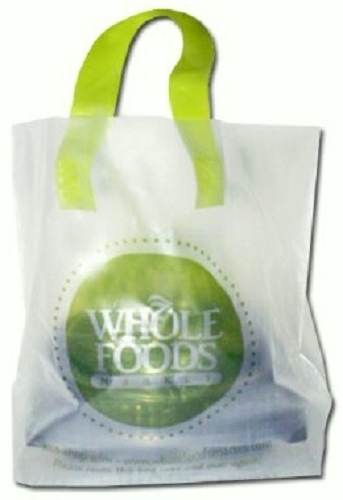 Our popular sandwich bag features clear plastic and a reclosable zipper closure clear bag. DM Packaging now stocks Slider Zipper deli Bags. More information and image needed. 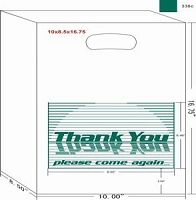 Heavy Duty / Large Rigid Handled Shopper for catering or take-out meals. Reinforced handles underlaid with cardboard for added handle support. Cardboard bottom insert offers stability when loading containers side-by-side. Profit vehicle to maximize menu penetration. One bag per order helps minimize lost or forgotten menu selections. Transports 2 (two) Half Steam Table Pans, 3 (three) 10x10x4 Bakery Boxes or 4 (four) 9x9x3 Dinner Boxes with side orders. 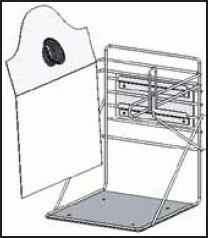 Medium Duty / Large Die Cut Handled Shopper for "Grab N GO" meals. Die Cut Handled Bag with Heat Seal Square Bottom holds containers flat on bottom - no tipping. Features of the Rigid Handle Shopper without the cost of the cardboard insert. Made for lighter take-out orders. Keeps all hot food items together offering longer transfer time. 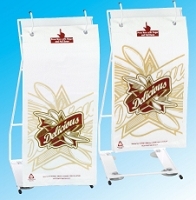 Minimizes multiple bags for large orders, reducing overall packaging costs. One bag for order helps minimize lost orders. Transports 2 (two) 10X10X4 Bakery Boxes or 4 (four) 9x9x3 Dinner Boxes. Unique for upscale counter service. Bottom-Gusseted design to keep your take-out packaging flat. Upscale design for counter service restaurants. Minimizes multiple bags for take out orders. One bag per order helps to minimize lost or forgotten menu selections. Transports 4 (four) 11x8x3 containers or 4 (four) 9x9x3 containers. These super-sized, heavy duty trash can liners are 2.0mil thickness and are designed to be strong for extra holding power. They are made from premium quality, low density resin for high puncture and tear resistance and are available in clear or black. Size = 38" x 58"